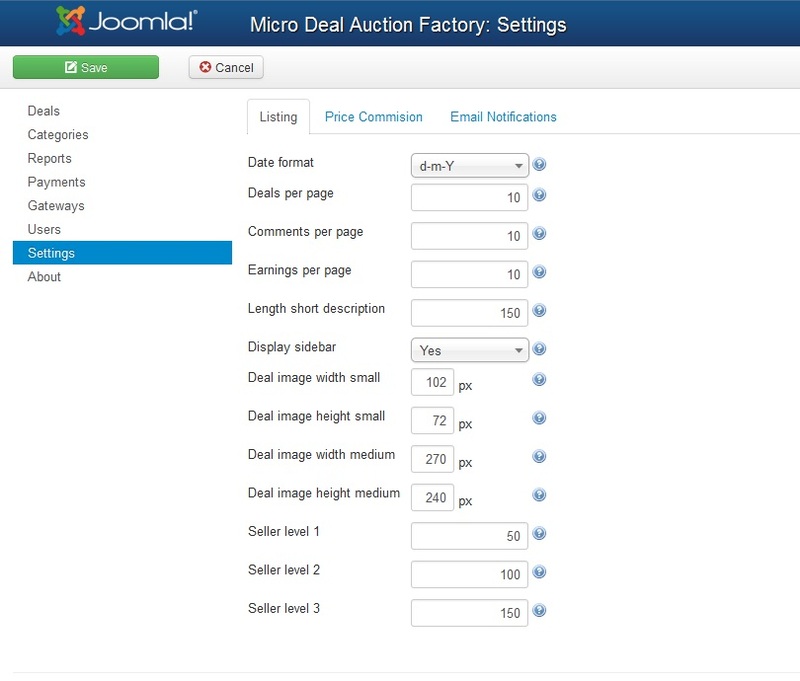 Micro Deal Factory is a microworker extension for Joomla! 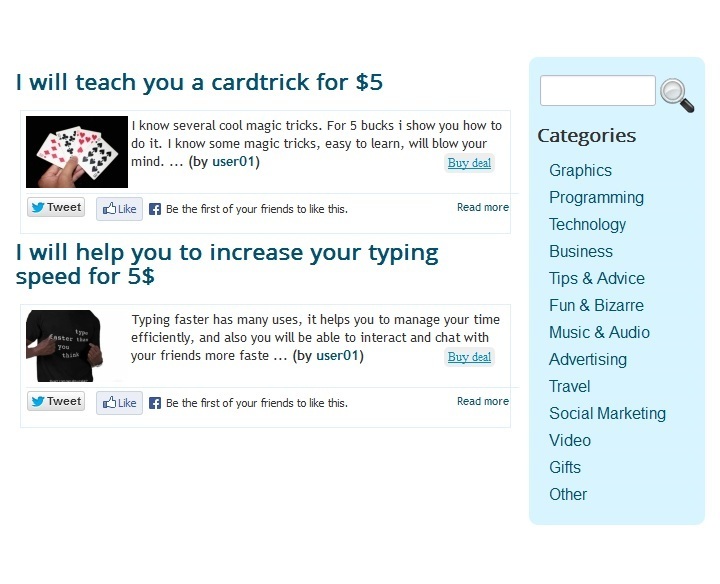 that allows users to sell their services or products through the website. 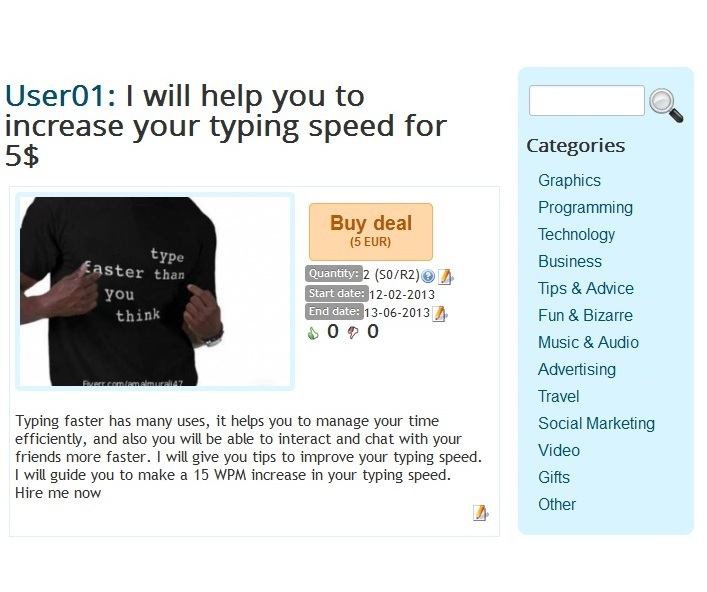 Sellers come to the site, create an account which links them to a payment gateway, start listing items and go on to sell them. 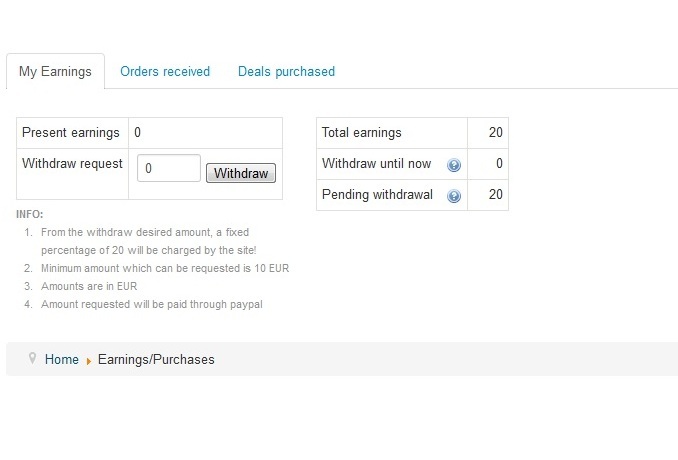 Site owners can earn commissions based on their sales and revenues. 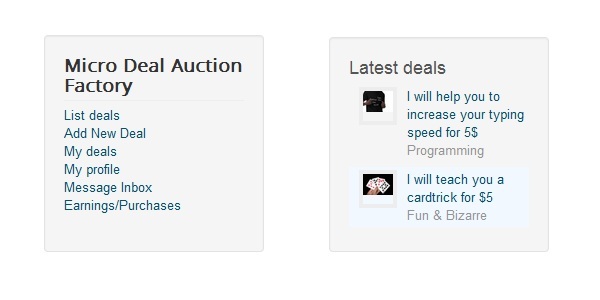 Multiple features facilitate communication between the seller and buyer to make sure they end up satisfied, leading to more sales and more profits for the website. 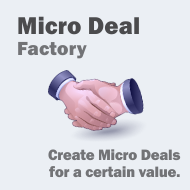 Micro Deal Factory 2.4.1 released on November 26, 2018. Fixed issue regarding MySql injection vulnerability signaled under https://packetstormsecurity.com/files/149487/joomlamdf240-sql.txt. Micro Deal Factory 2.4.0 released on March 15, 2017. 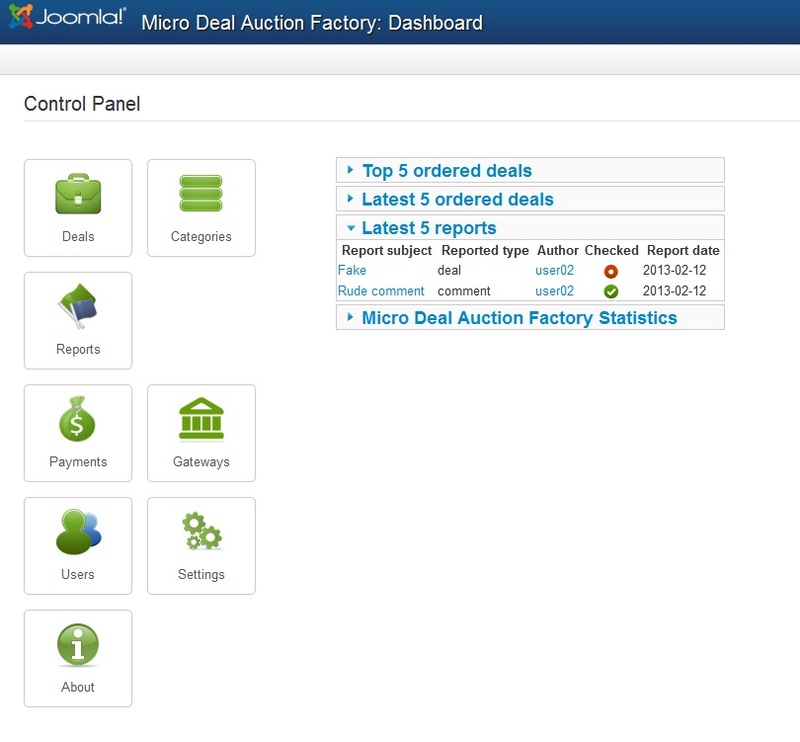 Micro Deal Factory 2.3.5 released on August 29, 2016. Fixed issues regarding Tags module and other notices. 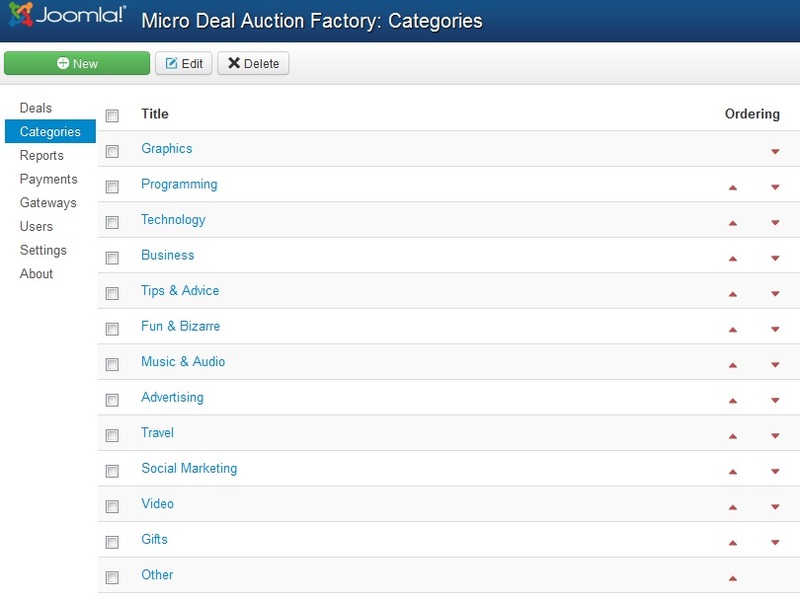 Micro Deal auction Factory 1.0.0 released on October 21, 2011. 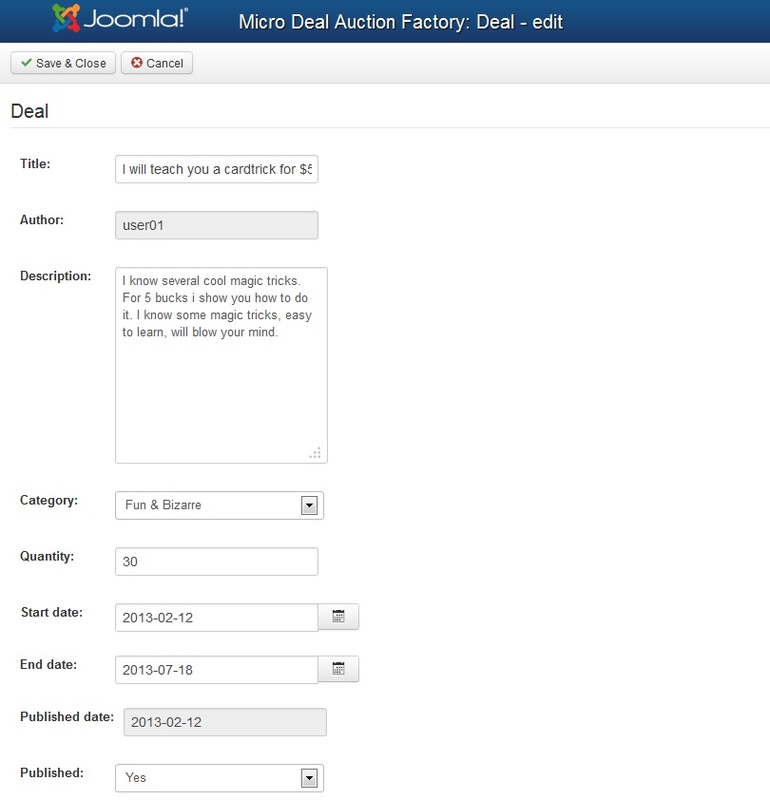 Screenshots are representing version 2.0.0 of Micro Deal auction Factory.